Hi there! My name is Rachel McCarl. I founded this rescue in April 2017. My goal for the first year was to rescue 10 rabbits and have 3 foster homes. Within the first year we rescued 80+ rabbits and had 12+ foster homes! 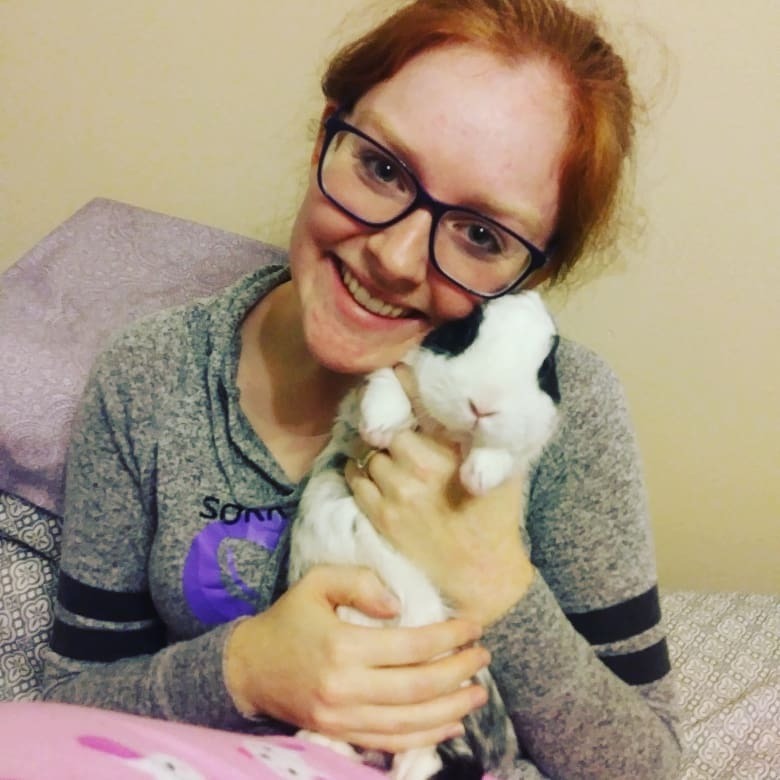 I am beyond amazed with the support and need there is for a rabbit rescue in Iowa. I live with my wonderful husband, Nathan (the treasurer of the rescue! ), our three rescue bunnies (Sally, Oliver, and Panda) and our two rescue cockatiels (Daisy and Digby). We also often have other foster rabbits living with us as well. Its a busy life and we love it! ​ When I am not working on the rescue, you can find me crafting in one form or another!